Based on the life of classic film star Gloria Grahame, Film Stars Don’t Die in Liverpool recounts the love affair that Grahame (Annette Bening) had with young actor Peter Turner (Jamie Bell) in the twilight of her career and near the end of her life. The film takes place on two different timelines, showing when Gloria Grahame and Peter Turner first met and fell in love in London in 1978, and when the ailing Grahame returns and goes to live at his mother’s (Julie Walters) home in Liverpool to live out her final days in 1981. 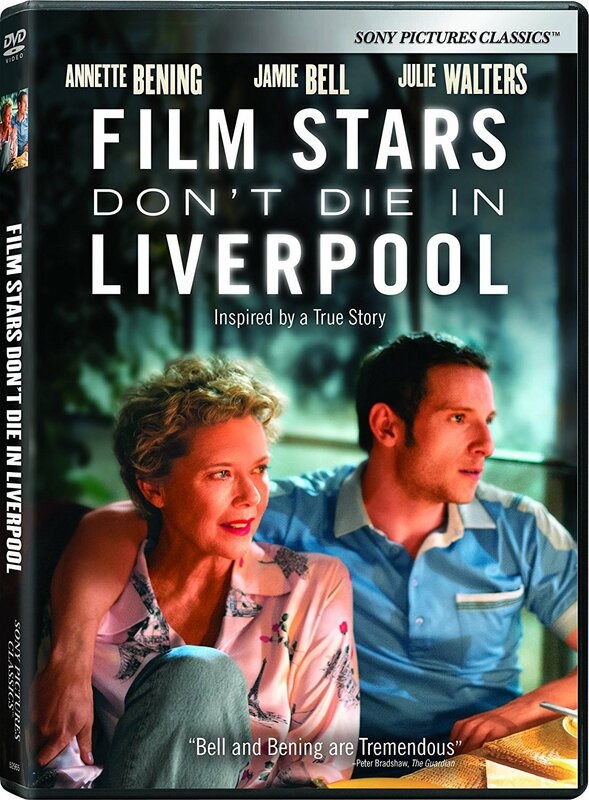 Directed by Paul McGuigan, and based on Peter Turner’s own memoir, Film Stars Don’t Die in Liverpool is a low-key and touching drama, that is carried by excellent performances from Annette Bening and Jamie Bell. Bening shines as a movie star not ready to give up the spotlight, and Bell brings an emotional vulnerability to his role that is at times heartbreaking to watch, with the two of them sharing chemistry together that allows us to both believe and empathize with the unlikely relationship that forms between their two characters. The DVD also includes a commentary track; a Q&A with Annette Bening, Jamie Bell, Paul McGuigan and Peter Turner; the Elvis Costello music video “You Shouldn’t Look at Me That Way,” as well as a performance and conversation with Costello and a featurette on the making of the music video. Film Stars Don’t Die in Liverpool is a Sony Pictures Classics release. It’s 106 minutes and rated 14A.